The Hockey Heaven mini rink is located just up the road from Hatfield Ice on 840 Bethlehem Pike in Colmar, PA 18915. 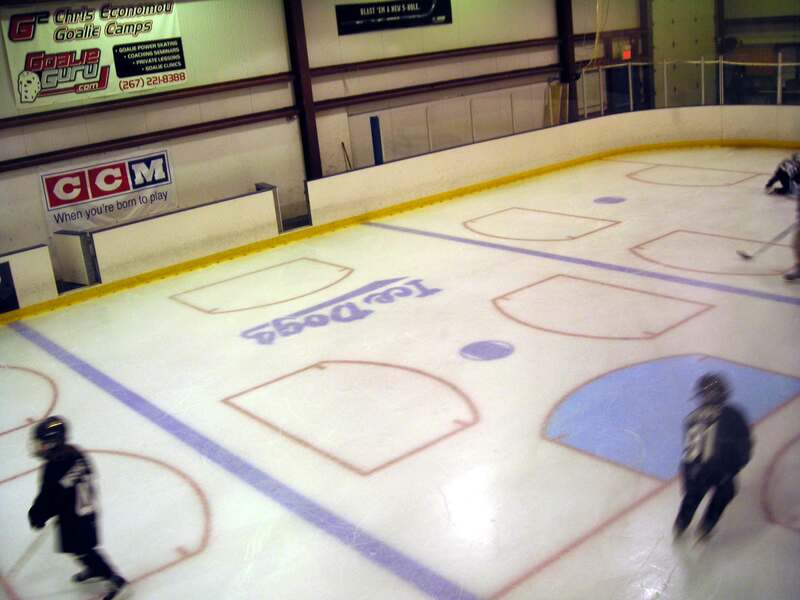 This rink surface is 90 x 44 and is idle for skill training, goalie training and 3 on 3 pickup games. The facility includes benches, locker rooms and bathrooms for all users. Customers using this facility include the Ice Dogs Youth Hockey Club, Goalie Guru and various school clubs.